The success of a business depends a lot on a) Good Leadership, b) Effective Business Plan, and c) Selection of Appropriately Talented Employees. Of course, there are other factors as well, i.e. sufficient funding, accurate research, etc. The business owner/intelligent leader is key in developing the best team in order to create a successful business. With an outline of what skills and experiences will be needed, it still may be helpful to select an effective assessment tool in order to pull together a cohesive workforce. And with today’s very diverse workforce available, it will be wise to know these job candidates’ goals and expectations. There are many, many assessment tools. Some are very complicated and expensive, while others are more simplistic and reasonably priced. Therefore, it is best to choose a professional, who is certified in the assessment tool(s) that you prefer. Have them to assist your human resources professional as you recruit and screen potential employees. You may not feel a need to always include an assessment tool, but it would be a good idea to locate an expert in assessments to use as a resource before the need arises. It is also very important to utilize a well-designed on-boarding program to offer all new employees. This gives each employee the best chance to succeed in his/her position. If an employee fails in an organization, it is often because of subjective characteristics, cultural fit, poor training, and/or personal style. 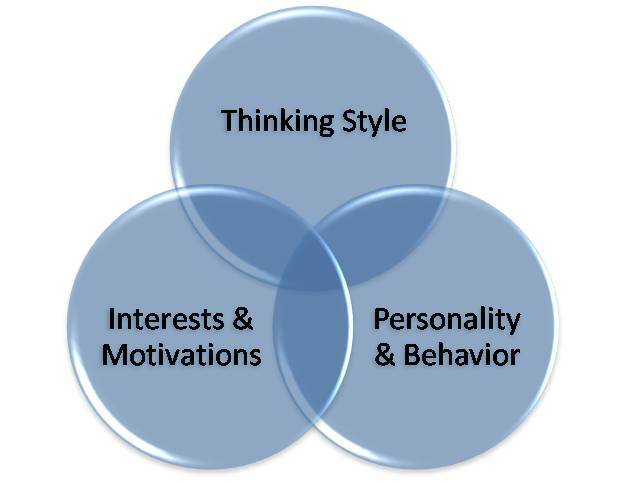 The characteristics and communication styles that can make someone successful in one role, may not be enough to guarantee success in a different role. Here are some negative scenarios or circumstances. – Are you struggling with a strong technical contributor who is alienating co-workers? – Do you have an employee who was very successful in one division but is struggling to adapt to a different culture in another division or location? – Are you looking for a more objective way to select final candidates for a new job? – Do you have a team of talented people who can’t work together? – Do you have someone in a leadership role, who is not “hearing” feedback about problems with his or her management style? If you don’t find a solution quickly, you are jeopardizing the success of many employees, teams and potentially even your customers. Compass Career Management can provide individuals with insight into their natural personality preferences and leadership styles as well as how to adapt those preferences in their work environments and cultures. With a professional sharing the findings and explanations of the assessment, a candidate gains a better understanding of his/her range of skills and talents, which is the basis for training, coaching and career goals. – Partnering with our clients to identify the disconnect and develop an understanding of the culture. – Recommending one or the best instrument that will provide the needed information. – Administering, reviewing results and then providing feedback. – Collaborating with the employee, supervisor and HR, developing a plan to help the employee make appropriate behavior change needed to be successful. We invite you to discuss your challenges and discover how our customized approach can help transform an individual or team into more connected and productive contributors.